The 6.5x65 Schueler round or 6.5x68 RWS round was developed in the 1930s as a way of getting a magnum power cartridge to fit and function in the widely available Mauser 98 bolt action rifle with its action and magazine adapted. RWS brought the cartridge into the hunting market in 1939, but commercial and hunting use was stopped by World War 2. The advantage of the 6.5 bullet head is that it had a relatively flat trajectory over the distance and the recoil is relatively low for a magnum power cartridge. 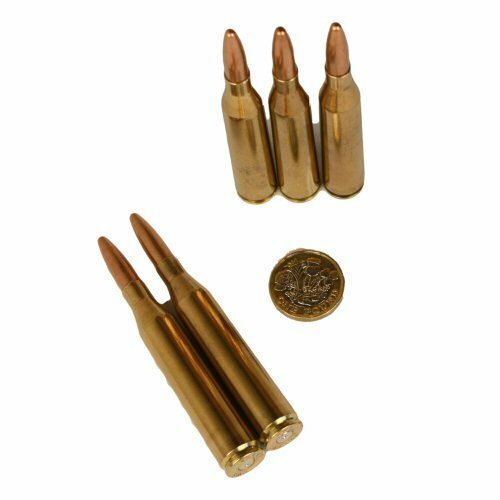 The cartridge remains in use today as a long range alpine hunting or target round because of its accuracy over long distances, but is a rare and specialist calibre. 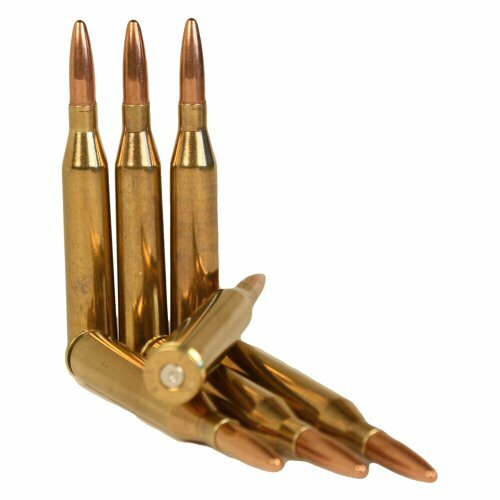 Inert round consists of a fired primer, brass case and FMJ 6.5 bullet head. No propellants or ignition is present. Price is for one round only. Rounds may not be shipped with Royal Mail and international shipping is by courier. Coin shown for size comparison only.